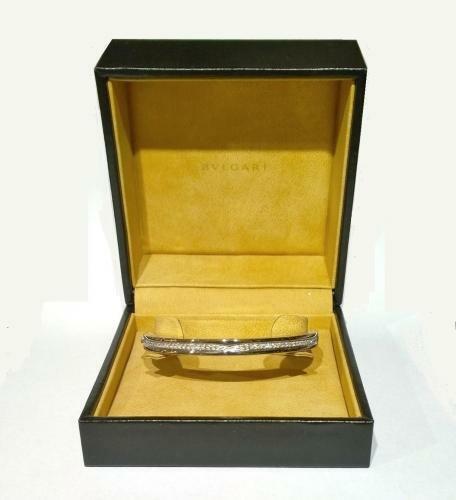 Bulgari diamond bracelet, Zero-B-Zero design. Fully set with brilliant cut diamonds set in 18ct white gold. approx 2 cts of diamonds. 60gms weight in gold. Wrist size: large, 67mm in diameter.